If you’re co-starring in "Star Wars: The Force Awakens," you might as well match the frenzy whipped up by avid fans of the franchise by going all-out on the red carpet. 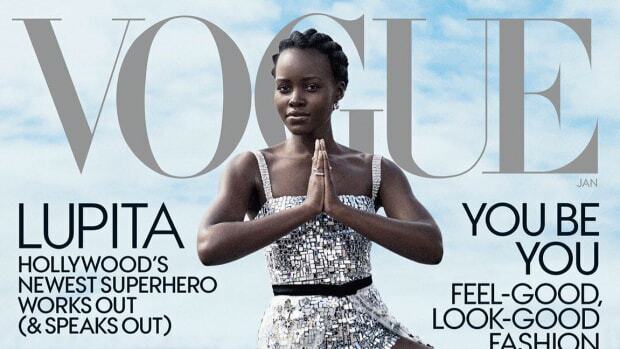 And that’s exactly what Lupita Nyong&apos;o has been doing. In Mexico City, she dressed up in a space-age silver Louis Vuitton gown and in Los Angeles on Tuesday night, the actress wore a Alexandre Vauthier cutout couture gown covered in silver and green crystals. They were bright and sparkly and very much in the "Star Wars" spirit. But her look at the movie&apos;s London premiere trumped both — and outshone the throng of Storm Troopers that hit the red carpet with the cast. The outfit in question was all-black Proenza Schouler peppered with small, interesting details. Nyong&apos;o&apos;s long-sleeve top, made of crinkle silk crêpe, twisted at the top of her neckline, while her macramé pencil skirt was studded with black and silver beads and sported peplum with white trim. For a statement accessory, Nyong&apos;o added a pair of silver leaf earrings. Was that enough? Of course not. A fine mesh veil covered the actress&apos;s updo, and to match her silvery smokey eye, she swiped on some blue lipstick with a bright purple sheen. Blue lipstick, people! We haven&apos;t gotten this excited over a beauty look since Missy Elliott&apos;s "WTF" video. Can "Star Wars" premieres happen forever, please? 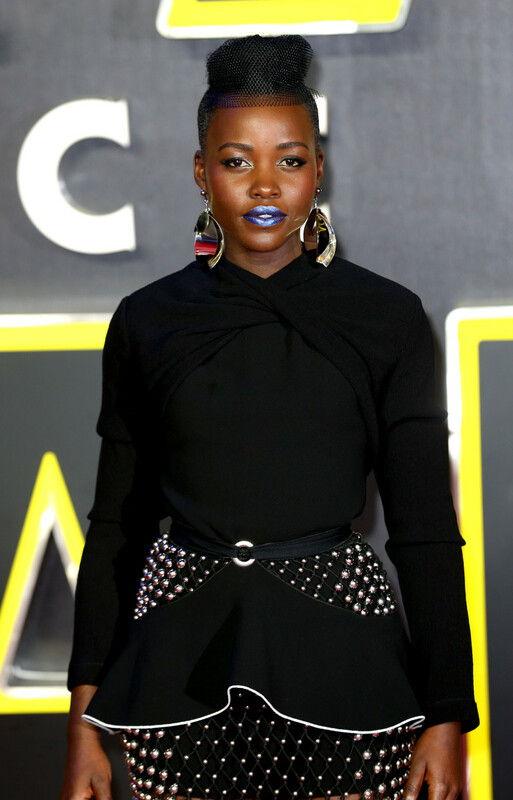 Note: This article has been updated to correctly refer to Nyong&apos;o&apos;s lipstick color as blue, as confirmed by Teen Vogue. To get the exact look by the actress&apos;s makeup artist Nick Barose, visit TeenVogue.com.